Resveratrol is a chemical compound that is naturally found in the peel of blue grapes, cocoa, blueberries and peanuts. As we told you in this post, it is an antioxidant that is capable of slowing down the appearance of signs of aging. However, the benefits of resveratrol do not end here. What it also helps in is weight loss. Intrigued? Read on to find out the connection between resveratrol and weight loss. Resveratrol triggers the metabolic activity in the body whether or not you are hitting the treadmill every other day. This means that, despite your inactivity, if you consume resveratrol on a daily basis, your metabolism will remain optimum. It improves the insulin sensitivity of the body, improving the way the food consumed by the body is handled. Higher resveratrol concentration in the body causes the food to be burnt to release energy rather than letting it be stored in the body as fat. Resveratrol prevents the fat cells in the body from maturing, meaning that the fat cells that are already present in the body will not grow if you consume resveratrol. When the fat cells in the body do not grow in size and mature, they are easy to burn. It increases your body’s ability to resist muscle fatigue. This means that when you get on the treadmill, you can exert your body a little more than usual since you would not tire very easily. How will resveratrol help your body? Since resveratrol improves your metabolic activity, you have more energy through the day for all your activities. You get more work done, get more exercise and burn more calories. Your body is more immune to muscle exertion, which lets you push your body beyond its perceived limits while you are working out and trying to lose weight. The overall benefit is that you are able to workout consistently, both due to the higher energy levels and the increased resistance. Resveratrol is popular among men and women alike, both due to its ability to improve weight loss and its positive effects on the immune system. Women favor resveratrol because of its anti-aging benefits too. 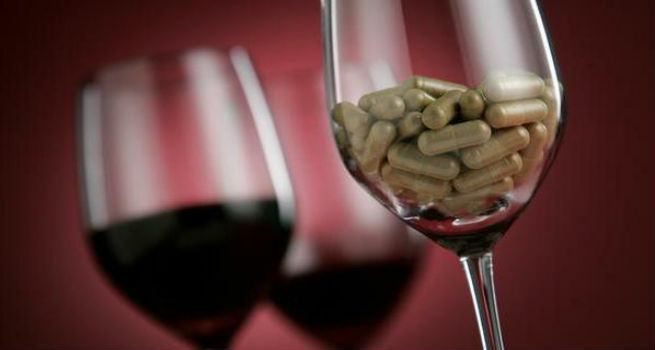 A glass of red wine will help you get some resveratrol into your body but the best way to get the prescribed amount of resveratrol is through supplements, since the amount of the antioxidant in one glass of wine is not so significant – one bottle of wine has only about 15 mg of resveratrol. The dosage in the resveratrol capsules varies from 100 to 250 mg. Consult your physician before you start a course since it can cause bleeding if you are on blood thinners. Make sure that the resveratrol that you use is the trans-resveratrol variant which is the most active form of the compound. You can try the supplement from brands like Biotivia and Swanson. While taking the supplements is great, you can also get some resveratrol from foods like grapes, cranberries, cocoa and peanuts. You will see a spike in your energy levels and stamina. Channelize it towards consistent exercise and you will certainly notice remarkable weight loss. Here Are Top 10 Sanitary Pads In India – Have A Safe Period!